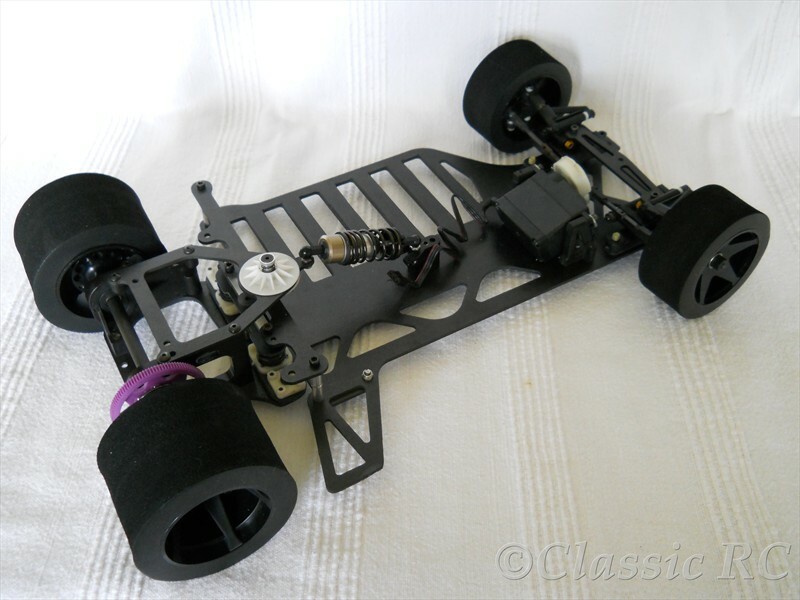 At the 1995 HPI cataloge you could find another new 1/10th scale pancar beside the RS10G, the RS10GO for Oval races. Some people also call this LTO or left turn only. 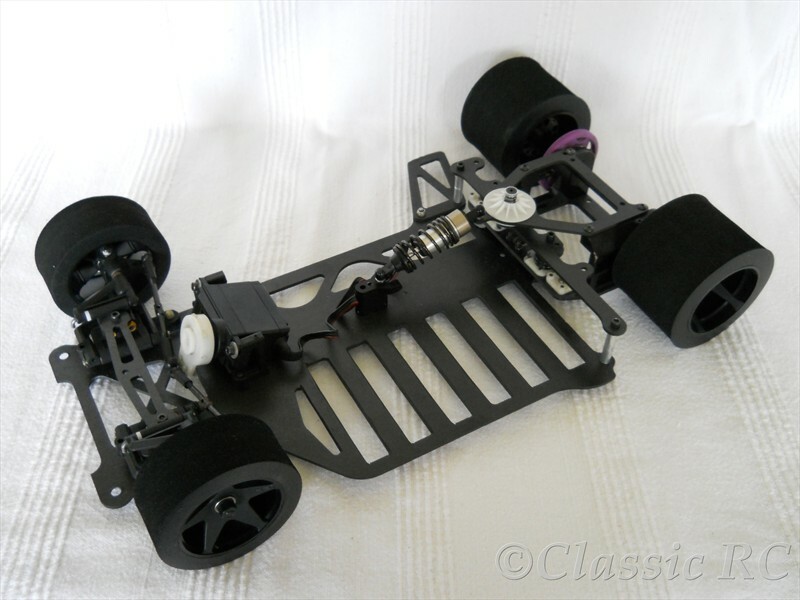 Most parts were adopted from the RS10G but the chassis, rear pod and braces were optimized for Oval races, also a nerf bar was used at the right side. These parts were made of a very stiff DA graphite. 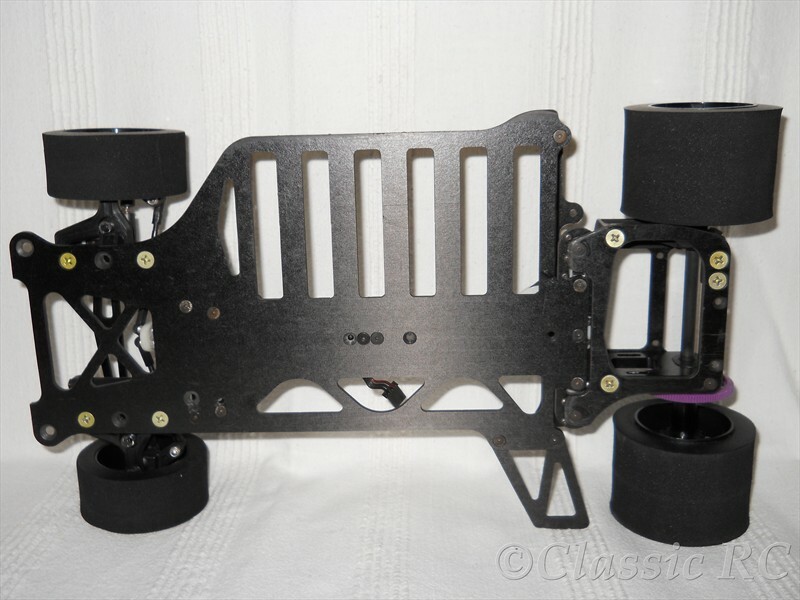 As you can see from the pictures, wide battery slots were used at the chassis for adjusting left/right weight balance. This is a very useful set-up option and dependend if running on flat tracks or banked Superspeedway.